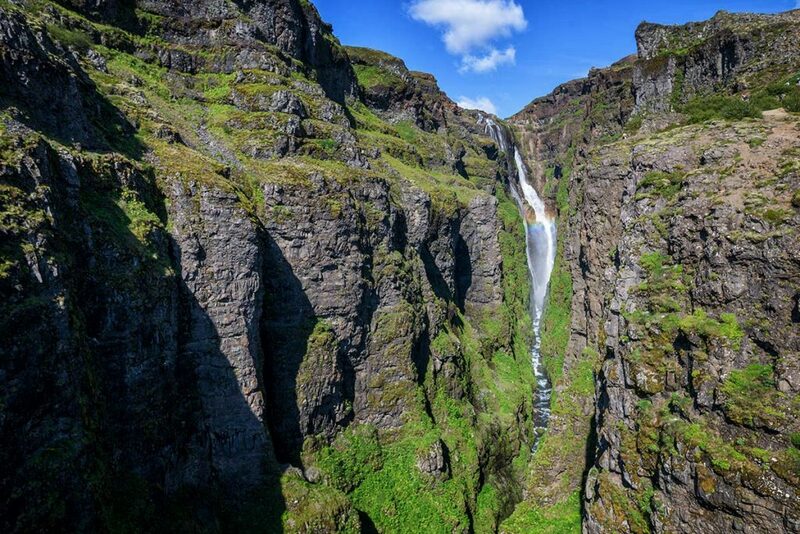 With its 197 meters (646 ft) Glymur used to be the tallest waterfall in Iceland. 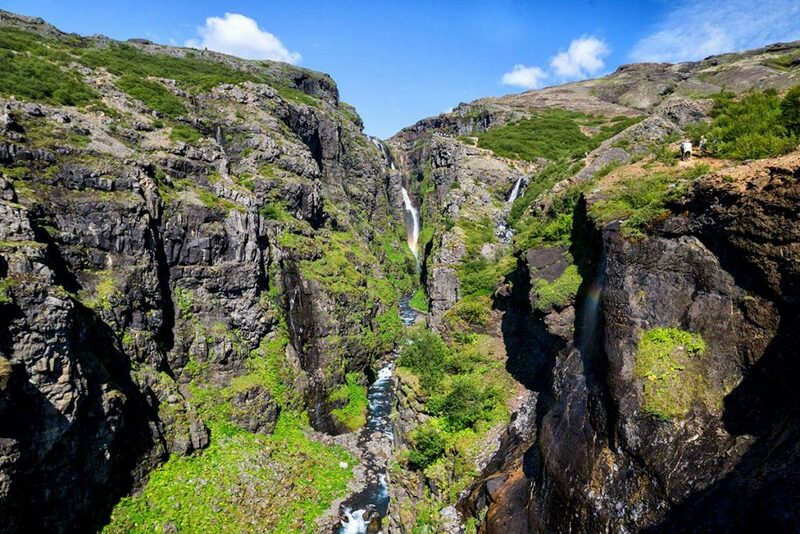 But it lost this primacy when Morsárfoss waterfall appeared due to the melting of Morsárjökull glacier. 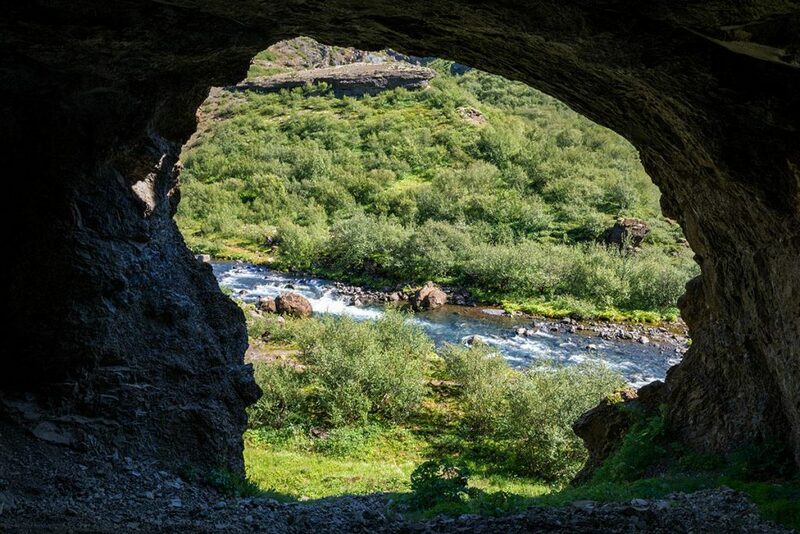 Still, Glymur is worth visit. 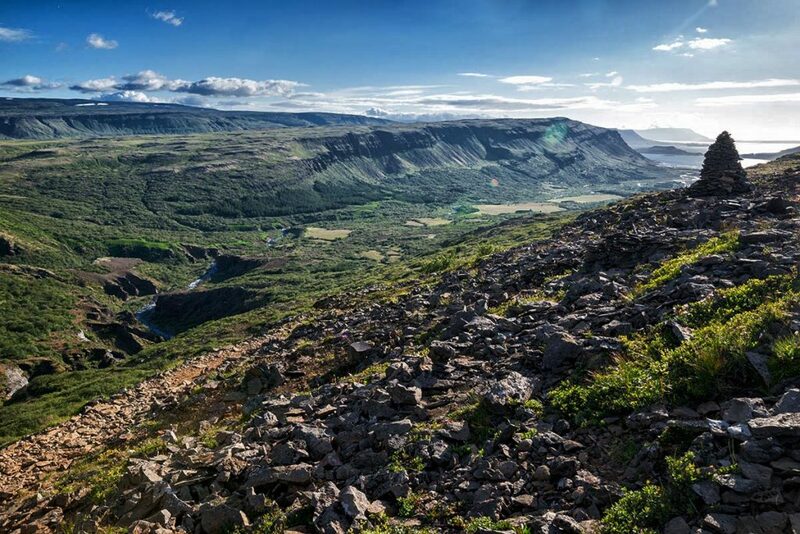 It is not for everyone since you have to go and climb all its height by walk. 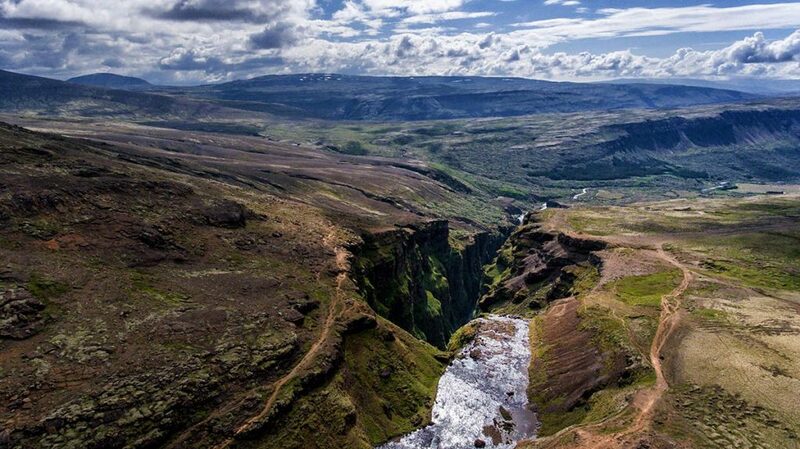 But if you do that, the views of the waterfall and to the valley are amazing. 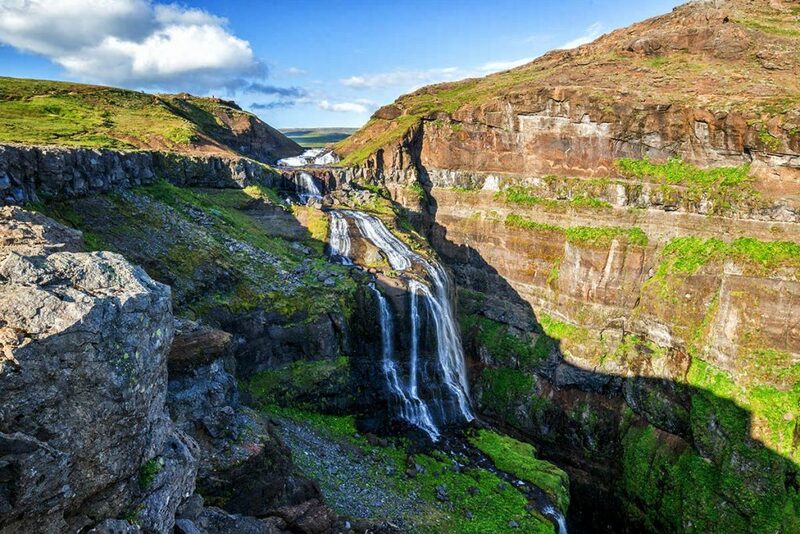 Glymur is situated in the western part of Iceland, close to Hvalfjörður 60 kilometers (35 miles) or just about an hour to drive north east of Reykjavík. Turn off the road nr. 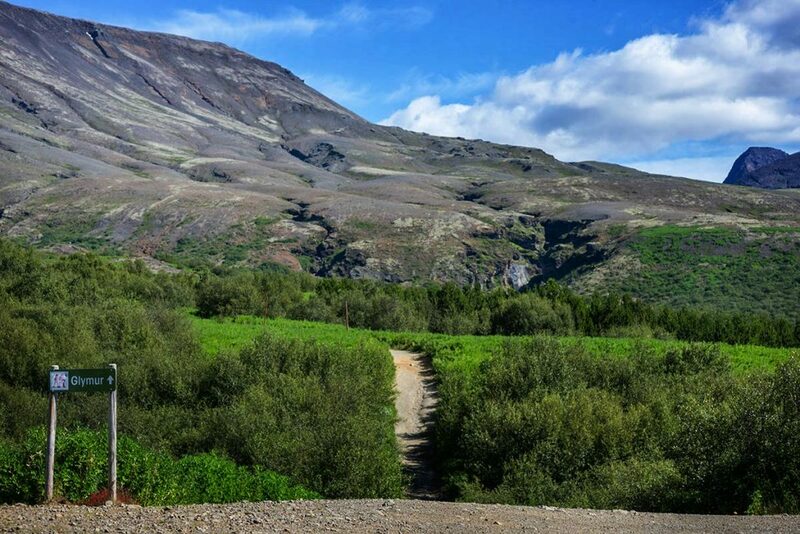 47 here (GPS: 64.385608, -21.355115) and follow this road for about 3 kilometers (2 miles). Eventually, you´ll reach parking lot (GPS: 64.385353, -21.294467). 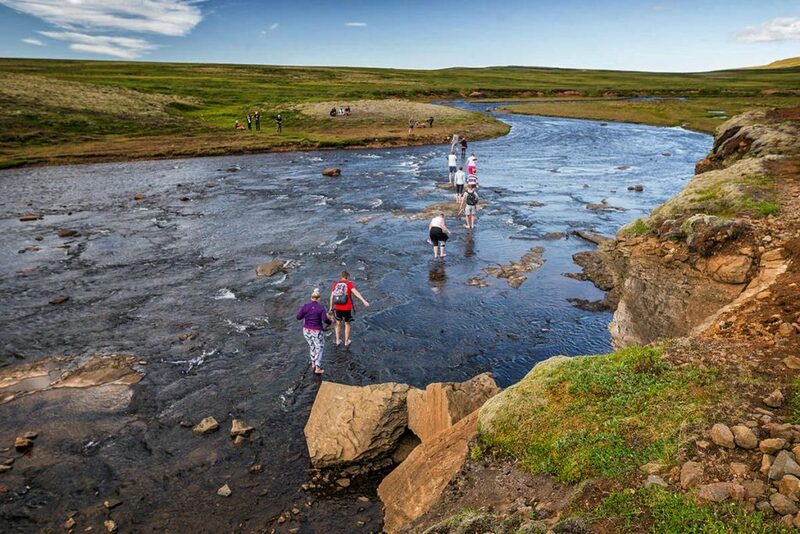 From there on, you have to go for about an hour to the waterall (and ‘climb’ the altitude of 230 meters) and cross the Botnsá river. 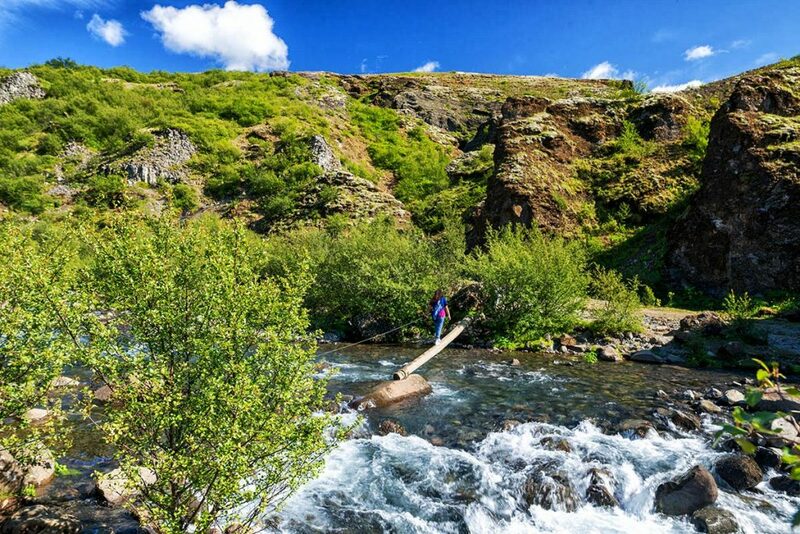 If you do not want to cross the river (there is a log over the waters) you can climb up along the right bank of the river and wade the river behind the waterfall. 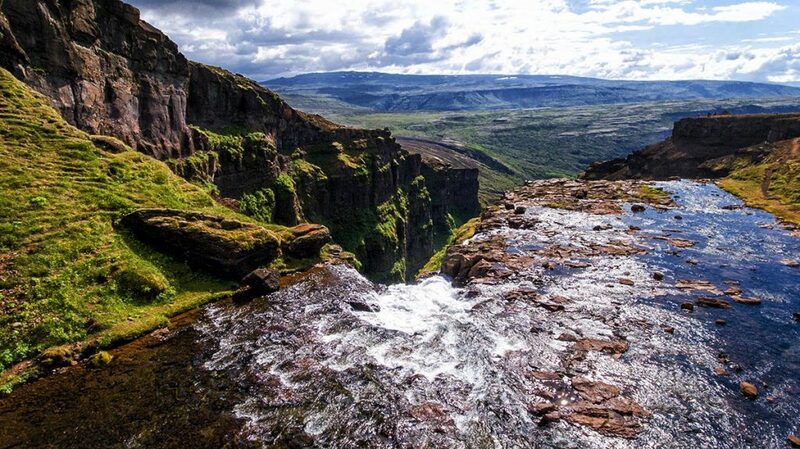 Cause only from the left bank site, you can really enjoy the Glymur waterfall. 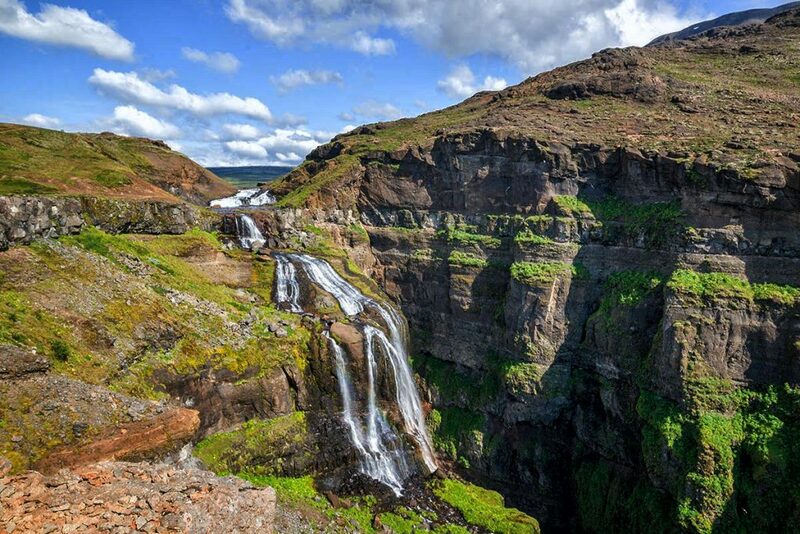 GPS coordinates of the Glymur waterfall: 64.391189, -21.251568 Take me there! 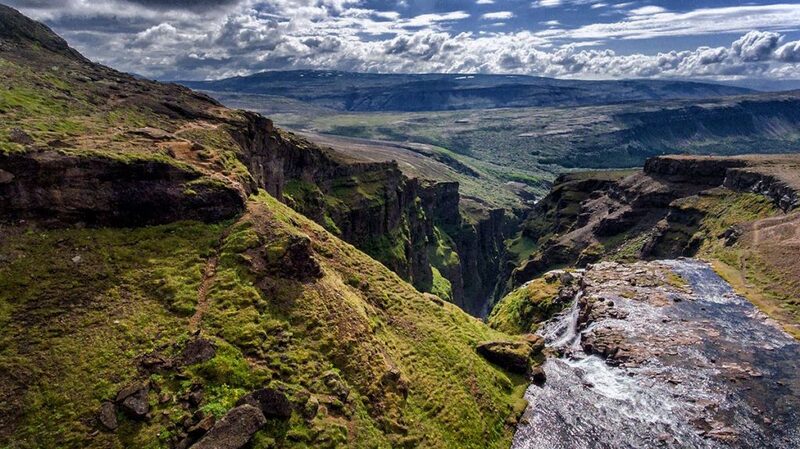 starting point to the Glymur falls. 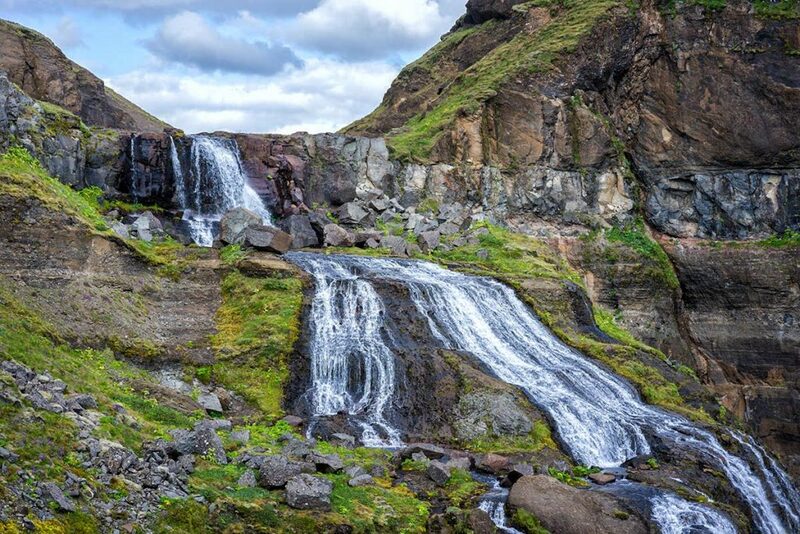 You can make it to the falls in 50 minutes.